ICY CLEANSE | Pro Chem, Inc.
IVY CLEANSE is effective in assisting in the removal of poisonous plant oils (Urushiol) found in Poison Ivy, Poison Oak and Poison Sumac. Standard soap and water will not emulsify poisonous plant oils. Ivy Cleanse is designed to start the emulsifying process to assist in removing plant oils before they have time to cause the uncomfortable rash, blisters and itching commonly associated with poisonous plants. Apply to dry skin and rub in for several minutes to remove poisonous oils. Rinse skin clean with cool running water. Dry with towel and repeat. 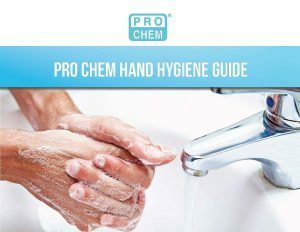 Wash hands thoroughly to avoid spreading poisonous oils to other parts of the body. If rash has already appeared, apply as above but try not to break the skin. For best results, apply within one hour of contact with poisonous plant.